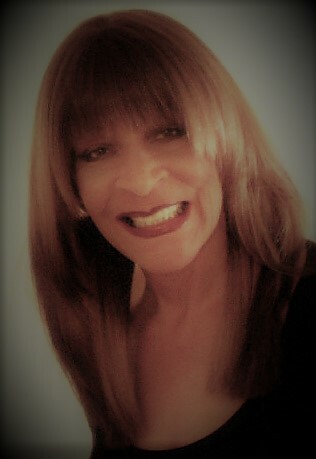 I am Gail Mercedes Cole. 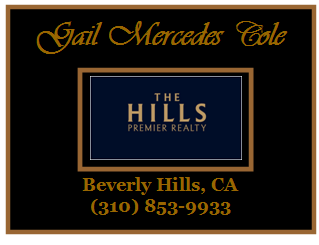 I am a real estate agent with The Hills Premier Realty in Beverly Hills. I specialize in Pre-Foreclosure Sales. Life can bring on many circumstances to deal with unfortunately some of those are not pleasant to work through. I realize this is a sensitive time for you and your family. If you have received a Notice of Default and Notice of Sale you are in a Pre-Foreclosure position. You have several options to save your property. This is just a challenge that can be overcome. Are You In Foreclosure Life Events Happen. What is the difference between a Notice of Default and Notice of Sale? Notice of Default - California law required that lender issues a 30-day notice to the borrower before recording a Notice of Default. Referred to as Notice of Intent. The Notice of Default is the first step in the pre-foreclosure process. Once Notice of Default is filed the borrower has 90 days to make the back payments and reinstate the loan. Property can be brought current by the owner or sold by a real estate agent within this time frame. Foreclosure should be the path of last resort. Keep in mind time is of the essence. Notice of Sale - If loan not current 90 days after Notice of Default has filed a Notice of Sale is issued. The sale date is at least 21 days after the Notice of Sale is issued. The time and location of the sale are designated in the Notice of Sale. At the Trustee Sale the property sold to the highest bidder. Notice of Sale can be postponed by the court or bank up to a year.. Refinance - Because your loan is in default you will not be able to obtain a conventional loan. You will have to obtain a hard money loan which has higher interest rates and shorter terms. Loan modification: What is a loan modification? A loan modification changes the terms of your existing loan. Examples are lowering your interest rate, changing from a variable interest rate to a fixed rate or extending the length of the loan. The changes can be temporary or permanent. The result is lower monthly mortgage payments. Literally, this can be one option for a homeowner wanting to save their home. Typically homeowners are delinquent for 60 days. Or not in default but there is a high probability they will be in the near future. This is referred to is an imminent default. Usually, homeowners have to demonstrate they have incurred a hardship. Examples: the death of a spouse, disability, medical reasons, loss of a job resulting in homeowner not being able to repay the original loan. If you are battling making your monthly mortgage payment contact your lender or service provider immediately. Ask about your options. Note: If modification declined your home is still in pre-foreclosure. Mortgage Forbearance Agreement. This agreement is between the borrower and the lender. Made when the borrower has a difficult time making their monthly mortgage payments. The lender agrees to reduce or even suspend mortgage payments for a certain amount of time. The terms vary between the lender and borrower. It is not a long term solution. It is designed for temporary financial relief caused by temporary conditions. Temporary unemployment or emergency medical care. Mortgage Forbearance is not the remedy for borrowers with long term financial problems. Contact your lender for information on a mortgage forbearance agreement. Deed in lieu of foreclosure. Homeowner transfers ownership to the bank that holds the mortgage. Title transferrin document signed by the homeowner, notarized and recorded in public records. BRIGHT SIDE SELLING YOUR HOME. Bright Side: Selling your home at the current market values. Walk away with a profit. Home values in most areas have increased by 15% to 20% in most areas. You probably have had investors that contact you offering to purchase your home for cash. They sense a bottom-feeder opportunity. In most cases, these investors will not pay market value for your home. Hire a Realtor® that specializes in pre-foreclosures. Home values have skyrocketed. Sale your home at market value. How can a home seller maximize their home value? Marketing exposure your home to hundreds of potential homebuyers and real estate agents representing buyers. Approximate 80% of potential home buyers start their home search online. Your home will be in the MLS, Zillow, Trulia, Realtor.com, and all real estate online networks. Additionally, your home listing will have its own website. Sell your home at market value. Walk away with the maximum profit you deserve. It does not matter if the home is a fixer-upper, in standard condition, or updated. Are considering selling your home now? Do not give your home away to an investor or the bank. Sell your home for its maximum value. Please call me for a private consultation. If this is not the right time keep my name and phone number and call when the time is right. Gail Mercedes Cole (310) 853-9933.